Prominent & Leading Manufacturer from Nagpur, we offer square screening mesh, fine screening mesh, plastic jali, plastic screening mesh, polymer screening mesh and separator screening mesh. With huge knowledge of the respected industry, we are engaged in offering superior quality Square Screening Mesh. The offered square mesh is designed using high quality of material & leading techniques so as to fulfill all norms of industry. Also, this square mesh find its heavy usage in window screening, chemical, stone crusher industries, industrial sieves in sugar and sieving of grain. We offer this square mesh in various sizes & customized options in order to meet various requirements of customers. Fine Screening Mesh is ideal for many applications including on window and door frames to help screen from small insects and debris. The mesh provides excellent light transmission and allows good air-flow. Fine Screening Mesh is a high quality extruded HDPE plastic fine screening mesh, with a fine mesh structure offering effective protection from the smallest of insects and debris. The mesh provides excellent light transmission and allows good air-flow. The fine screening mesh is rigid, so that it can be installed in panels and used as insect netting in both temporary and permanent applications. Available in Black, Green & Natural (white) – Other colours can be manufactured to order subject to order quantity. Insect mesh can be used as a fencing or as part of an industrial application to keep insects and mosquitoes out (cladding, eaves, double glazing windows and conservatory construction). We are offering an assortment of quality-approved Plastic Jali. The offered plastic jali is give clear and clean extrusion and stop the foreign particles in mix with final extrusion product. We provide this plastic jali in various customized options as per the customer’s choice. The plastic jali offered by us is checked on numerous parameters in order to eliminate all possible flaws. 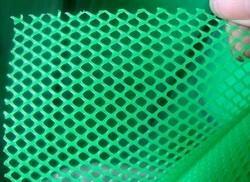 We are specially supplying Plastic Screening Mesh as per customer's requirements. This product give clear and clean extrusion and stop the foreign particles in mix with final extrusion product. Moreover, our range of products is manufactured of PVC granules and is made with a width of 1 meter and 1.22 meter and can be made according to customer specifications. These wire meshes offers good corrosion-resistance and oxidation-resistance and are applicable in parks, home guards, garden fences and etc. 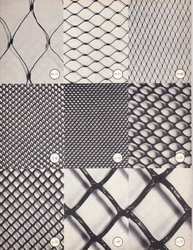 We are pioneer and leader in the field of Polymer Screening Mesh technology in India. Our meshes are non corrosive, acid resistant and all our meshes meant for outdoor use are uv stabilised, giving them a much longer lifespan even with protracted exposure to sunlight. The products have a high tensile strength to match customer requirements. Since our inception, we are instrumental in offering premium quality Separator Screening Mesh. The offered separator mesh is manufactured by our personnel using high-grade raw material and modern techniques keeping in pace with industrial norms. 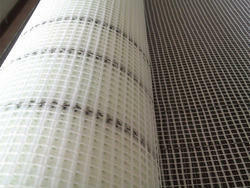 Our separator mesh is available in numerous sizes so as to meet the demand of customers. This separator mesh is quality by our quality inspectors on several parameters in order to supply flawless range to our customers. Looking for Fine Screening Mesh ?